Pat White and her brother are caregivers to their mother, Christine who was diagnosed with Alzheimer’s Disease in 2007. 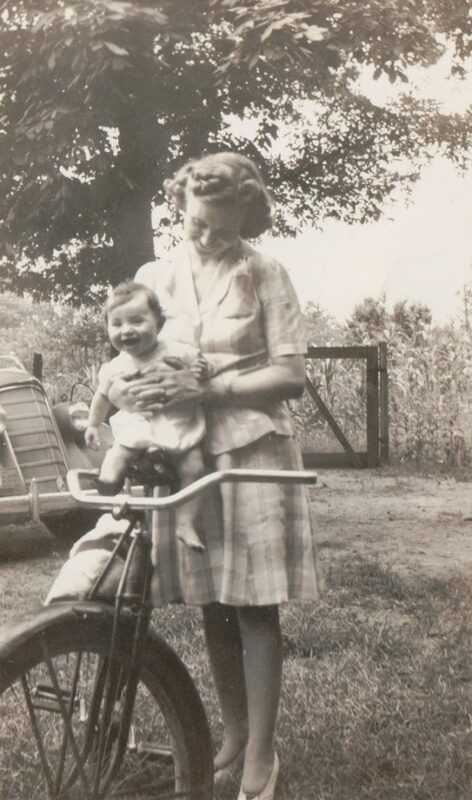 Pat blogs about Alzheimer’s experience on her blog Mom and Me: Memories from my Life. In addition to sharing her experiences on caregiving, she also writes about Alzheimer’s research and new articles on her blog. We reached out to Pat, to understand her mother’s diagnosis, treatment and how she manages to take care of her mom. Pat was very gracious with her time and shared detailed answers to our questions. Please find her email interview with CureTalks below. Priya: Hi Pat, great to connect. What were some of the warning signs that you noticed in your mom? Pat: Alzheimer’s disease is a chronic, progressive, neurodegenerative brain disorder that affects a patient’s memory, language, judgment, decision making, planning, and organizing. Alzheimer’s disease remains the most common cause of dementia. There are currently 5.3 million Americans affected by the disease, and as the number of aging population increases without a disease modifying treatment, it is projected to be 15 million by 2050. There are many forms of dementia, of which Alzheimer’s is the most common. Early warning signs can be almost imperceptible over time, or things can change almost overnight. There is no pattern that fits all. For my brother and me, as we began to notice changes in our mother, we began trying to spend more time with her. We eventually began alternating by weekends, spending them with our mom. For me it was a 380-mile trip each way from Ohio to Virginia. My brother’s home was much closer to our mom’s, a 65-mile drive. We did the alternate weekends for at least a year and a half. Falls. Our mother lived alone in the country. 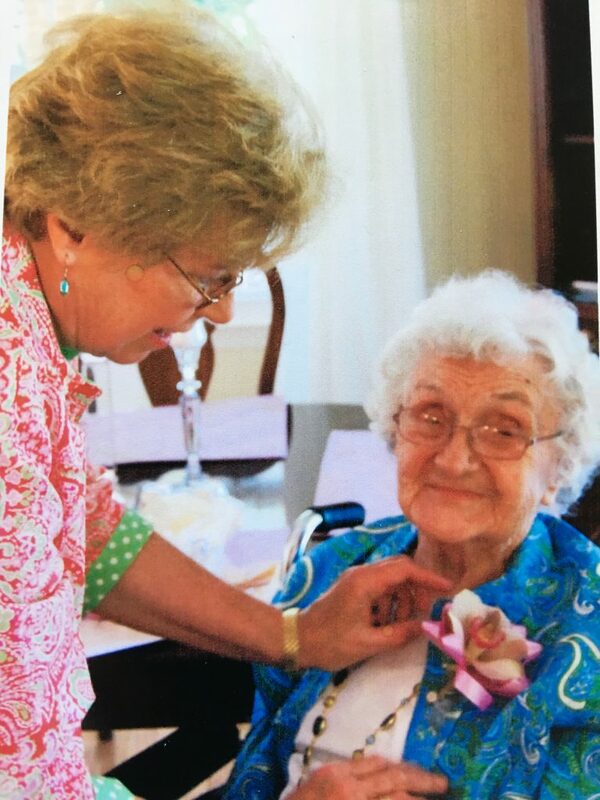 Reaching her mid 80s, she purchased an ALERT necklace. Things could happen so fast. One time I was literally only a few feet away and I could not break her fall. There were two falls, I remember, when she was wearing her ALERT necklace but forgot she was wearing it, and she did not punch the button. One time, in particular, my mom was taking some food scraps up into the edge of the woods and tripped. She crawled backward more than 50 yards to reach the house. She did manage to reach the phone to call her sister who lived nearby. It was in early spring and chilly outdoors. Fender benders with the car. Medicine confused – There were times when she would forget she had taken a med and then would take it twice. She would then suffer the effects of over medicating. Her younger sister and daughter would be called and would come and stay with her until she was feeling better. Frequent naps during the day – sometimes forgetting food cooking on the stove. I remember asking my mom how the wood on the cabinet beside her stove had gotten burned. Leaving food out, forgetting to refrigerate it. Forgetting mealtimes. Placing items in unusual places – Thinking she was putting her money in safe keeping, once she put away cash from her monthly bank deposit into a shoebox in her closet, and this was not discovered until years later. Requiring much more time to get dressed. Setting the table for a group of family members when I had phoned ahead to let her know there was just myself. Becoming irritable and impatient in late afternoons (known as Sun Downers Syndrome). Our mother had a health condition that might have been a contributing factor to her dementia – atrial fibrillation. Priya: Was there a test that was taken for diagnosis of Alzheimer’s? A few months later when our mom came back to Ohio with me from Virginia, things were completely different. She saw a geriatric neurologist who treated her with dignity and the greatest of respect. I remember his kind responses to her test answers. Nowadays, elders are routinely tested at their annual physicals with the following test: Mini Mental Status Exam or MMSE. This exam tests memory, orientation, and math skills. It takes 5-10 minutes and doesn’t require any equipment or special training by the doctor or nurse. This test serves mainly as an indicator of whether more attention and testing are needed. A more extensive test, which can actually be ordered online and self administered is SAGE. Priya: Was there a medication regimen that your mom had to follow? Pat: Once our mother came to stay with my family in Ohio, she came under the care of geriatric neurologist. She began taking her first prescription for medication to delay or slow her symptoms – Aricept. Another medication often prescribed is Razadyne, also known as Galantamine. These meds ease some of the symptoms in some people and possibly help the brain work better for longer. Priya: What are some of the co-morbidities associated with Alzheimer’s ? Depression: Depression affects 20 to 32 percent of patients with dementia, though it is more prevalent in vascular dementia as compared to Alzheimer’s disease. Anxiety: Anxiety affects 20 percent of patients with dementia. In the initial stages of the disease is the fear of losing control. Generalized anxiety disorder occurs in 5 percent of patients with Alzheimer’s disease. As the disease progresses, anxiety level can fluctuate depending on the living situation and the patient’s support structure. Psychosis: Delusions and hallucinations have been present in 15 to 20 percent of patients with dementia and increase with the disease progression. Hospitalization can cause delirium. I remember for my mother that hospitalization caused her a lot of anxiety. I remember the leader of my Alzheimer’s support group, who happened to be my mother’s doctor in Columbus, told us he discouraged families from having a loved one dealing with dementia to be hospitalized for this very reason. Agitation and aggression: Among patients with dementia, 27 percent exhibit agitation and/or aggressive behavior. There are two categories of agitation/aggression in dementia. One with psychosis such as delusions and hallucination and the other without psychosis. Agitation/aggression should be thoroughly investigated as it can signal an underlying medical condition or a patient need that cannot be properly communicated such as hunger, thirst, pain, or a need for toileting. My mother’s physician (the geriatric neurologist in Columbus) told me that any time a patient acts out, there is a reason for it. Oftentimes loved ones are unable to adequately communicate their need. In conclusion the psychiatric co-morbidities in patients with Alzheimer’s disease can be either part of the dementia or an undiagnosed condition. In either case it is the second most important issue that needs to be addressed and treated. The need for treating patients with dementia and Alzheimer’s dementia in particular is treating all symptoms of the disease. Priya: In your opinion, how is research in Alzheimer’s doing in terms of new drugs and quality of life paradigms? Pat: In my opinion we are light years away from a cure. 830,000 people die from Alzheimer’s each year, 1 person every 38 seconds. Yet, companies spearheading the search for a cure have trouble securing investment for clinical trials, stifling progress. 27 percent of Americans have a family member suffering from dementia. I have recently learned about an unusual project afoot to do something about this dire situation. Seven month old Pat with mom Christine. Priya: As an Alzheimer’s caregiver for more than five years what are some of the suggestions you want to share with other caregivers. Enlist help wherever you can get it! Caregiving happens to be one of the most stressful of responsibilities there are. Do not attempt to go it alone. Respites are vital for caregivers. Contact your local office of Agency on Aging. There is government assistance for caregiver respites. Even a few hours away can be refreshing. Try to maintain at least a few of the activities you enjoyed before becoming a caregiver. As caregivers it is hard to care for ourselves. We feel we are never doing enough for our loved one. If you are not the caregiver but see that an elder is being either neglected or mistreated in some way, contact your local Adult Protective Services to make a report. Getting a loved one initial help is sometimes a critical issue. If your loved one is struggling and you don’t know where to turn, insist on that loved one getting a physical checkup with his or her family physician. Then let the doctor serve as the ‘bad guy’. After the results of testing, let the doctor be the one to advise about driving, etc. Above all, remember that your loved one maintains the capacity to hear and feel your love and affection – and that stays with them until the end. They may not be able to show their recognition of you by name, but inside they know your voice and perceive your tender, loving care.